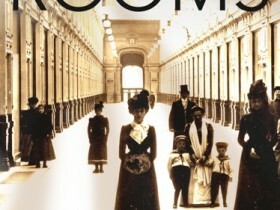 Aaaand, not con­tent to re-release Flashback, here’s a re-release of The Amber Rooms. I know—I’m spoil­ing you! Ahoy, blog read­ers! 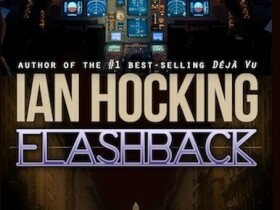 I’m pop­ping up briefly from obscur­ity to tell you that my nov­el Flashback–sequel to Déjà Vu–is now avail­able once more as an Amazon Kindle ebook. Enjoy (again!). Yesterday even­ing, I happened across this blog and shocked myself. The date of the last entry was two months ago. I guess we blog­gers are often guilty of not post­ing enough, but that’s too long. High time for a pro­gress report on my cre­at­ive shenanigans. By coin­cid­ence, yes­ter­day was the sub­mis­sion dead­line for my Creative Writing Master’s dis­ser­ta­tion. I did it under the tutel­age of Tibor Fischer and the exper­i­ence has been great fun and emin­ently worth­while. Productivity-wise, the MA was often bene­fi­cial because it forced a cer­tain level of cre­ativie out­put. At oth­er times, how­ever, it was less help­ful because I had to spend writ­ing time on essays and assigned read­ing. But the essays, dis­cus­sions, and assign­ments all pushed me to improve as a writer…and if you’re not improv­ing from moment to moment in this game, what’s the point? To be sure, when you reg­u­larly sub­mit work to a group of intel­li­gent crit­ics, trends emerge in their cri­ti­cism. For instance, most agreed that my work was too hard on the read­er. First, my writ­ing asks a great deal in terms of memory load. Things are often men­tioned once; the read­er has to remem­ber, or risk fall­ing behind. Second, the read­er must fill in the blanks. I might have a single event lead­ing to more than one con­sequence, and expect the read­er to anti­cip­ate them. Third, my pacing is fast. I eschew unevent­ful sec­tions in my work, where read­ers might oth­er­wise have the oppor­tun­ity to pon­der what’s hap­pen­ing. So I’m try­ing to ease back on the ascet­ic, spare approach to the story; try­ing to think less of the words form­ing a per­fect whole, more of the words as scaf­fold­ing the reader’s enjoy­ment of a story. Roscoe put his briefcase on the drain­ing board, which was the only part of the kit­chen not covered in dust. There was some­thing upset­ting about the dark­ness of the place. When he was [sic] Grandad was alive, the place had been airy and light. Roscoe’s shoes slid a little on the gritty floor as he reached over the sink to the Venetian blind, tug­ging it open, let­ting the sun­shine back on the chaos. His gut, strain­ing at his work shirt, touched the edge of the sink. It left a dirty smear. Terrific. This was his last shirt. That’s the first para­graph of a new com­edy nov­el set in Cornwall in 1988. It is utterly uned­ited; writ­ten start-to-fin­ish. In fact, I don’t think I’ve read it since writ­ing it. What I have here is a word sketch where the words aren’t import­ant. The import­ant ele­ment is the struc­ture under­neath the words: who this per­son is, where he is, what he’s think­ing, and what his role in the scene or story could be. By com­pletely for­get­ting about writ­ing to any stand­ard of English, I’m pro­du­cing a first draft where the story is in focus. Thus far, the trick has worked. The sample para­graph above is the first in a book that I star­ted in May and fin­ished in August (bear­ing in mind it’s 50,000 words, which is a short one, but that’s still a good rate for me). There’s a chance that 90% of the prose I wrote won’t make it to the second draft. On the oth­er hand, I might be suprised at how well the prose works when it’s pro­duced in this flow state. Otherwise, the writ­ing is going well. I’ve star­ted to write a ‘serious’—i.e. literary—novel. It’s a nov­el about an aca­dem­ic, and we’ll see how it goes. At the same time, I’m com­ing to the end of major edits for the Unsung quint­es­sen­tial edi­tion of the second book in the Saskia Brandt series—title as yet unde­cided.